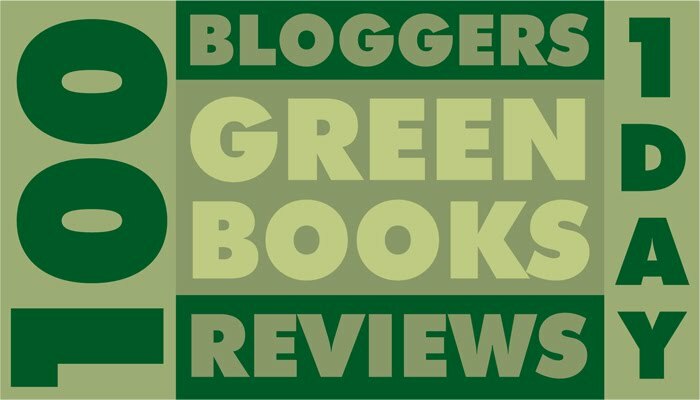 This review is part of the Green Books campaign.Today 200 bloggers take a stand to support books printed in an eco-friendly manner by simultaneously publishing reviews of 200 books printed on recycled or FSC-certified paper. By turning a spotlight on books printed using eco- friendly paper, we hope to raise the awareness of book buyers and encourage everyone to take the environment into consideration when purchasing books. 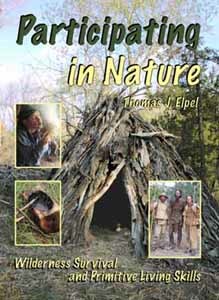 For the campaign, I chose Participating in Nature: Wilderness Survival and Primitive Living Skills by Thomas J. Elpel (Hops Press). This book is printed with 100% soy-based inks on 100% recycled paper, bleached without chlorine. I have a confession. This book was actually my second choice to review for the Green Books Campaign. But when it arrived and I began to peruse its pages, I’m glad that my first choice (Less Is More, which is being reviewed by everydaytrash) was already taken. I was pleasantly surprised by the personal approach to the writing of Participating in Nature. The writer takes us on a day’s journey, both literally and metaphorically. We start out at sunrise, awakening our senses to the world around us, all through the writer’s observations. He guides us through his experiences and demonstrates shelter building, fire starting, water collecting, edible plant IDing skills and more. The journey naturally ends with sunset. Being a city girl with dreams of the wilderness, this book was just the thing to entertain my fantasies of roughing it out in “nature.” The funny thing about that is, as the author points out, nature is all around us, even in urban settings. In fact, it’s a big misconception that we are ever separate from nature. It is easy to forget that we and everything in our lives is of the earth when the material items we’re exposed to daily include technological luxuries like computers, televisions, and refrigerators. Their components are so highly processed that the natural sources from which they’re derived are unrecognizable. He goes on to drive home the paradox of our being a part of nature while simultaneously being seen as its destroyer. There is a humility in the tone of the writing in what is essentially a primitive living skills guidebook. Although it is clear the author knows his stuff, there is no air of superiority in this knowledge. He makes it clear that he is continually learning and is sure to let the reader know of certain shortcomings of the guide. Specifically, he attempts to make the guide applicable to most regions of the United States, but only to a point. His most direct experiences are in Montana and he reminds us this when necessary. And although this is the case, I think people in all regions can benefit from this introduction to primitive living skills. The instructions are fairly clear, though of course not as clear as learning from a video or in person. In between the demonstrations, the chapters are peppered with narrative and first-person accounts of interactions with plants, animals, and the elements of nature. Aside from the entertainment value of the insightful stories the author tells, Participating in Nature serves as a great introduction to survival and primitive living skills. There may be other guides out there that are more definitive (though I haven’t met them yet). But the book satisfied the initial curiosity I had for certain skills like building primitive shelters with on site materials, making cordage from natural fibers, and butchering a roadkill deer. I would love someday to be able to attend a wilderness school to learn firsthand some of the other skills covered in this book such as making a bowdrill and starting a fire with it, creating shelter with a hot coal bed, and fishing by hand. Perhaps I’ll even get a chance to attend the author’s school, Green University. I’m going to try felting wool on my own, based on the instructions in the book. And speaking of wool… Since the first time I went wilderness camping in high school, I was taught that cotton is the “death cloth” (in camping circumstances that is). So I was surprised to read that the author wears cotton sweatpants and sweatshirts while out in the wild. He does wear layers and insulates the sweatpants with found natural materials like grasses, but what happens when the cotton gets wet? Cotton does not wick away water like wool does, so it stays wet and cold, contributing to hypothermia in some cases. Perhaps the insulating grass provides this wicking barrier. Or maybe the cotton phenomenon is exclusive to the Northeast where we have consistent precipitation throughout the year (unlike Montana). This was one of my only gripes or “huh?” moments while reading the book. The other pertains to the images in the book which were sometimes hard to decipher. They are in black and white and in many cases there is little contrast, making it hard to see what is being demonstrated. Color photos would vastly improve this guide. These small criticisms aside, I truly enjoyed Participating in Nature. What I respect most about this guide is that it’s based on the direct experiences of the author. It is not a distillation of other guide books, it is not all theory or hearsay. Thomas J. Elpel lived these tales, and continues to teach us the skills he accrues as he learns them. This is evidenced by the number of editions he has put out – this is the sixth edition of the book since 1992. The author has the freedom to revise his books this frequently because he also runs the press that prints it. Learn more about the author, his school, and printing press at his website. Do you have the urge to learn more about the world around you? Do you want to learn how to survive in the wilderness? While I’m at it, I may as well tell you about some of the other gifts I appreciated getting for my birthday that I think would make great presents for your nearest and dearest this holiday season. I opened the gift box to reveal what at first looked like a dirty Weetabix. Nope, that’s a plant. And it’s not dead. Apparently this little creature is hard to kill. Hence it’s nickname “The Resurrection Plant.” Put it in water, et voila!, it comes to life. Pretty wicked. This review is part of the Green Books campaign. Today 100 bloggers are reviewing 100 great books printed in an environmentally friendly way. Our goal is to encourage publishers to get greener and readers to take the environment into consideration when purchasing books. This campaign is organized by Eco-Libris, a a green company working to green up the book industry by promoting the adoption of green practices, balancing out books by planting trees, and supporting green books. A full list of participating blogs and links to their reviews is available on Eco-Libris website. What do government regulators have against raw milk? The Raw Milk Revolution is an exploration of this and other relevant questions in a time when the entire industrialized food system is coming into question. 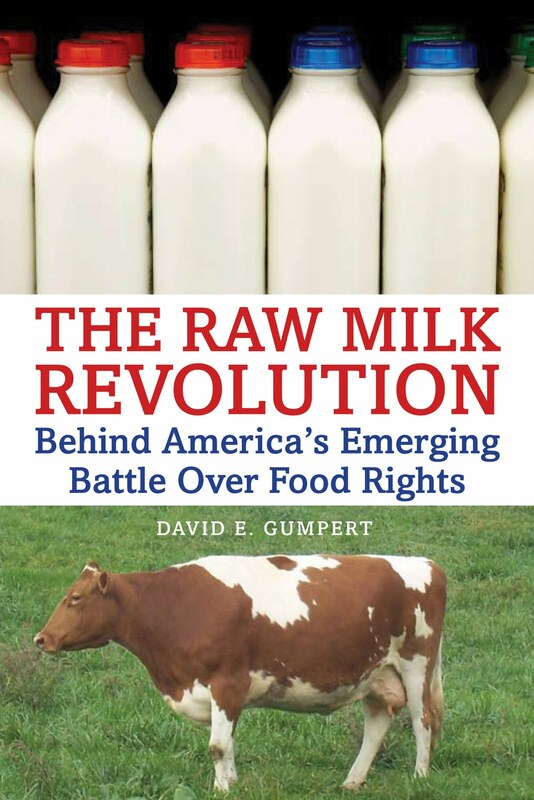 Based on his blog, The Complete Patient, David Gumpert provides a reasonable, balanced, and straightforward account of the pros and cons of raw milk consumption and the legal constraints placed on its production. The book provides historic context of the dairy industry, from about the time of the Industrial Revolution to more recent regulatory history regarding food safety. It balances past events with the current trend toward consuming raw dairy, explaining both the purported risks and benefits of the product that comes unadulterated from the cow (or goat or sheep). Pasteurization was a response to the increasingly deplorable conditions and industrialization of dairy farming. As dairy operations crowded into cities and were coupled with distilleries for “efficient” use of grain (as cow feed, something cows do not naturally eat), cows became sicker, farms became a breeding ground for pathogens. But is the method of pasteurization – slow on the uptake at the turn of the century, yet widely used today – still valid? Is it making us safer? The answer is somewhat unclear. The rates of raw-milk–related illness are debatable, depending on who you ask. According to some groups, like [grass-fed] raw-milk advocates the Weston A. Price Foundation, the rates are inflated, while state and federal agencies argue that raw milk carries an inherent risk to health. As do parents of children who may have become seriously ill from it. Raw milk is outlawed in 28 out of 50 states. But the incidence of other food-borne illnesses is just as high, if not higher, than that of raw milk. Even pasteurized milk carries some risk. According to the Centers for Disease Control, the highest rates of listeria illness are due to deli meat. If deli meat is 10 times more likely to expose you to listeria illness than raw milk, why isn’t it restricted or outlawed? Another question I kept asking is: Why can’t we just put a label on raw milk and let consumers decide whether they want to take the supposed risk? Or more to the point, why don’t consumers have the right to choose their foods, raw or treated? The only reason the right to food choice was not guaranteed in the Bill of Rights is because the Founders of America could not have envisioned a day when selling a glass of raw milk or homemade pickles to a neighbor would be outlawed. At the time, such a thought was as strange as levitation. Indeed, what good is the freedom to own guns, worship, or assemble if we don’t have the freedom to eat the proper fuel to energize us to shoot, pray, and preach? Is not freedom to choose our food at least as fundamental a right as the freedom to worship? Due to the current laws regarding the sale of raw milk, people who choose to produce it are putting themselves at risk of government crackdown in order to fulfill a growing demand. Something is compelling consumers to, in many cases, cross state lines to obtain raw milk. Often, these consumers are pregnant women and mothers. Why are people putting themselves and their families at risk of breaking the law in order to potentially put themselves at risk of illness? Having tasted raw milk and, unknowingly, carrying it over state lines illegally, The Raw Milk Revolution left me wanting to take the risk again, maybe in order to prove that the benefits are worth the risks. I think I now have more questions than answers regarding the raw milk debate, but perhaps this is the point – to keep the questions coming with regard to food and our right to choose what we consider healthful to eat. For more on the raw milk debate, visit The Complete Patient. Founded in 2007, Eco-Libris is a green company working to green up the book industry by promoting the adoption of green practices, balancing out books by planting trees, and supporting green books. To achieve this goal Eco-Libris is working with book readers, publishers, authors, bookstores and others in the book industry worldwide. Until now Eco-Libris balanced out over 110,000 books, which results in more than 120,000 new trees planted with its planting partners in developing countries. Time to trade in for a Klean Kanteen! 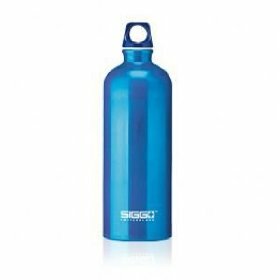 Even though SIGG has a trade-in program where you can return your old BPA-containing bottle for a new, improved BPA-free bottle, I’d rather support a company that was “klean” from the beginning (and didn’t cover up the truth). What’s so bad about BPA (bisphenol A)? If you haven’t had a chance to read Omnivore’s Dilemma or see Food, Inc., here’s a relatively brief, yet in-depth look at the problems plaguing our industrialized food system. I live on an old quarry. When I went to the extension and said, “I’m looking to buy this piece of property,” they pulled out the soil maps and they said, “Ah, there’s no soil on your property, did you realize that?” I said, “Yeah, it’s an old quarry.” They said, “This place is useless. The only thing that you could possibly do there is raise goats or grow weeds. So I went to the people selling it, and I said, “It’s a worthless piece of property, it will only grow weeds.” I got it for a very good price. She goes on to tell us that, yes, she grows a lot of weeds. Weeds that feed her rabbits and goats. Those rabbits and goats feed her. There are some other, more ‘adult’ things that made me laugh in this article, too. But I’ll let you read those yourself! The health and healthy presence of frogs are a good indicator of the health of an ecosystem, and therefore, the health of us. Well, hate to break it to y’all, but we’re up sh*t’s creek without a paddle, ’cause frogs are mutating and disappearing at alarming rates. Their permeable skin leaves them vulnerable to chemical contaminants like pesticides and herbicides – chemicals used in agriculture and on lawns like atrazine, methyl bromide, and chloropicrin (a nerve gas!) which end up in our drinking water, and in our bodies. And just in case that wasn’t enough to cheer you up, here’s a related article [NY Times] about the legal allowable limits of atrazine in drinking water, and the detrimental effects of atrazine on women and children. My mantra for the year. I’ve been decluttering, refocusing, letting go of bad habits and saying hello to new (good) ones. Part of living in a sustainable way is making sure the ol’ noggin’ can sustain all that’s thrown at it as well. It doesn’t matter which book you start with, all of this Vietnamese Buddhist monk’s writings are simply stated and sure to calm the mind and spirit. Not one iota of religious dogma. I’m psyched to be hearing him speak at the Beacon Theatre this October. The Yoga Sutras of Patanjali – this is what yoga is all about. I read a sutra or two before I go to sleep at night. I was skeptical of this one, especially since the title is telling me to ‘throw out’ things. I don’t take kindly to that sort of message. But inside this little gem are some practical (and somewhat ecological) tips on letting go of the stuff that clutters your physical and mental space. Right on, Gail. I can’t quite remember how I stumbled upon the elephant, but I’m ever-so-glad I did. I caught them just as they were shutting down print ops to launch their all-online version. I knew as soon as I opened the first page and saw what kind of ads they were running (yoga, healthy food, eco stuff) it was my kind of magazine. Here’s a little story: I was in a cafe in Sydney, Australia last year, reading one of the ol’ paper & ink issues of the mag and a young lady (another American) sitting at the table next to me asked where I got it. I told her I subscribed. She told me she contributed, and was just so surprised to see someone in Oz reading the humble magazine from Boulder, Colorado. Small world. I’m not really talking about the man, here, more about the method. Not sure how I feel about all of his principles (the proprietary ones), but this 90-minute, hot & sweaty, 26-posture “open-eyed moving meditation” has sure gotten me through some tough days. I’d say it’s at least 95% mental, and it ain’t so bad for the bod, either. Through a sparse and thoughtfully written blog, Tina Su, et al, help others do just as the title suggests: Think Simple – Now. I used to be skeptical of self-help stuff like this, but some little voice started telling me that it can actually help to be open-minded and take a serving of helpful advice once in awhile. It’s good to listen to those little voices sometimes. 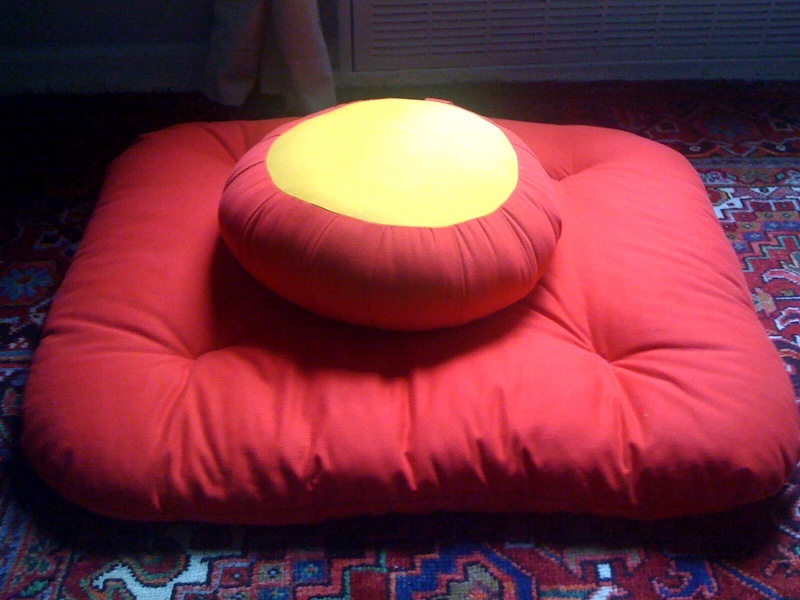 Nope, this isn’t a blog about monk’s robes. It’s another well-thought-out and simply stated blog that reminds me to keep it simple, and do it with a smile. As many of you know, this Saturday, May 16, is our second Great American Book Drive, held in conjunction with Better World Books (BWB). Better World Books, is an environmentally-friendly and socially-responsible company that collects and sells books to fund literacy initiatives worldwide. This event at Central Library offers you a chance to clean out your bookshelves and donate unwanted materials to a good cause — your library! So before you come, please review our donation policy as it would be a shame for you to herniate a disc carrying old items to Central that we ultimately can’t use. If you’re curious about eating locally and foraging for food, or maybe you just have a penchant for dance, head on over to the Community Bookstore in Park Slope this coming Tuesday (Cinco de Mayo). Leda Meredith will be reading from her book Botany, Ballet, and Dinner from Scratch. If you don’t get a chance to catch her there, sign up for one of Leda’s foraging tours in Prospect Park. The next one is on June 20th – prime berry picking season. Get the deets at GreenEdge NYC. In August 2007, Leda Meredith stopped eating bananas. And lemons, chocolate, soy sauce, and avocadoes. On the day after her 45 birthday, she started “the 250,” a year-long experiment in eating foods grown within a 250-mile radius of her Brooklyn apartment. Thus began the process of retraining herself—planning every meal ahead, scouring the city for local beans and flour, canning countless jars of tomatoes so she could eat something other than potatoes all winter. Now, over a year later, Leda has emerged unscathed—healthier, she says, and a better cook—from her experiment in eating locally. And as if canning and dehydrating food weren’t enough to keep her busy all winter, she’s also written a book. Botany, Ballet and Dinner from Scratch is the story of Leda—from wild-haired kid to world-traveling professional ballet dancer to experienced botanist and forager—and of the recipes she uses to make saving the environment a delightful culinary adventure. We’ve all got a pile of books that we’ve either read or abandoned just collecting dust on the shelf. So why not give them a second life at the Desk Set’s Writer/Reader Mingle and Book Swap at Pacific Standard this Monday at 7pm? While you’re at it, you can pick up some new wordy friends to curl up with… for free. That’s what this swapping thing is all about. All unswapped books will go to Books Through Bars, a program that donates books to prisons. Common wisdom is often an oxymoron. Here’s an example: “Never trust a skinny chef.” I can’t stand that saying. Why? Because it’s total BS. Wouldn’t you expect someone with a discerning palate to eat only the good stuff and not everything in sight? I love to eat. And while I’m not a chef, I’m a decent cook and know really good food when I see it, smell it, taste it. I’m also pretty particular about what I consume. There are several reasons for this which break down into the categories of nutrition, ethical treatment of animals, and environmental impact. So of course I’m excited about the latest book to tout responsible, wholesome, and delicious eating: Mark Bittman’s Food Matters: A Guide to Conscious Eating with More Than 75 Recipes. Bittman is one of my favorite foodies. He cooks simply with quality ingredients and over the past few years has really awakened to the horrendous state of this country’s food industry and what it’s doing to our bodies, planet, and pocketbooks. For Bittman personally, the moment of truth was twofold. At 57, he’d gained 50 pounds over his college weight and had developed high cholesterol, high blood sugar (especially scary for someone with a family history of diabetes) and sleep apnea, a condition caused by his excess weight. At the same time, as a food writer he could no longer ignore his “increasing disgust with the way most meat is grown in this country.” The lives of factory-farmed livestock can only be characterized as “misery,” and the resulting meat and dairy products are full of nutritionally dubious additives like hormones and antibiotics (which in turn wind up in the water supply, further damaging everyone’s health). With a colleague, Kerri Conan, Bittman devised a plan they called “vegan until six.” They ate almost no animal products at all until dinnertime, no simple carbohydrates and no junk food. (Simple carbs are sugars, white flours and other processed grains like white rice.) At dinner, they ate as they had before, although in time Bittman found that even his evening meals came to include more “vegetables, fruits, legumes and whole grains and less meat, sugar, junk food, and overrefined carbohydrates.” It was easy, and in a matter of months he’d lost 35 pounds, lowered his cholesterol and blood sugar, and had no trouble sleeping through the night. Most important, he continues to eat this way and is content to do so for the rest of his life. I’ve pretty much adopted this way of eating already without giving it a name, but the idea of “vegan until six” seems fairly simple to me. Cutting out meat or reducing your intake is an easy way to significantly improve health and at the same time reduce your carbon footprint. According to Miller, Bittman readily acknowledges the influence of Michael Pollan and his mantra”Eat food, not too much, mostly plants,” in the creation of this manifesto/eating guide/cookbook. A culinary writer who promotes conscious eating and is helping people how to adopt the lifestyle for themselves — now, that’s a skinny chef I can trust.